Grow your business and increase revenue per employee through sales and marketing business process automation. Get the right stack of digital solutions to exponentially increase your bottom line. The Business Process Automation Practice gives small and medium sized enterprises (SMEs) the analysis, framework and guidance to successfully navigate the world of business process automation. Get a functional business process automation roadmap, migrate to best-of-breed solutions and start competing in the digital marketplace. Stop transacting business manually and start leveraging automation to market, sell and collaborate more efficiently. 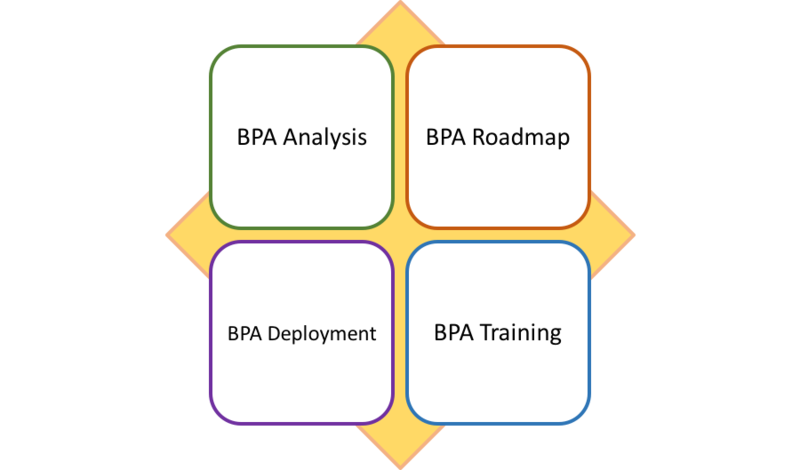 BPA Practice leader Eric Schwartzman has 25-years’ experience designing and implementing successful digital solutions for Fortune 500s, Ecommerce leaders, Federal Government Agencies, the US Armed Forces and hundreds of small and medium sized businesses.